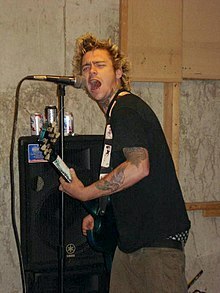 Brian Eric Bonsall (born December 3, 1981) is an American rock musician, singer, guitarist and former child actor. He is perhaps best known for his roles as Andrew "Andy" Keaton, the youngest child on the NBC sitcom Family Ties from 1986 until 1989, and Alexander Rozhenko, the son of Worf and K'ehleyr, on Star Trek: The Next Generation from 1992 to 1994. Music is what I want to do for the rest of my life. I don't think I could compare myself to Macaulay Culkin, because we're pretty much two different kinds of actors.